Should Specialty Drugs Be Shifted From Medical to Pharmacy Benefit? Specialty drugs have been a house divided. Oral medications have been managed under the pharmacy benefit while medications that are infused or injected have been managed as a medical benefit. Self-injected medications have been a muddle, landing on both sides of the benefit divide. Common sense and convenience recommended this arrangement. If health plans and other payers were paying providers under the medical benefit for injection and infusion services, why not cover drug being injected or infused as part of the same claim? Besides, specialty drugs have been a secondary concern, so the medical–pharmacy benefit split just hasn’t been that big a deal. Until recently, oral medications have been the category in need of management, and they are clearly the province of the pharmacy benefit, accounting for the lion’s share of pharmacy expenditures. And the oncologists, rheumatologists, and other specialists who regularly prescribe and administer specialty drugs haven’t been complaining. When they buy medications and bill for them, that has added an income stream into their practice. For some, that stream has turned into a torrent as the number and cost of the specialty drugs has increased. Now that specialty drugs have become budget busters, health plan executives and pharmacy benefit managers are questioning the wisdom of covering specialty drugs in two different ways and, more particularly, whether more medications should be moved from the medical benefit to the pharmacy benefit as one way to rein in costs. According to the 10th edition of EMD Serono’s Specialty Digest, the switch is under way. A survey of 91 health plans that provided the data for the digest found a significant shift to the pharmacy benefit for the medications for hemophilia, respiratory syncytial virus, and, as a group, the intravenous immune-modulating medications for rheumatoid arthritis, Crohn’s disease, and psoriasis (figure, below). There have been some early adopters, such as Blue Cross & Blue Shield of Rhode Island (BCBSRI). The insurer acted well before the current trend, moving many specialty medications over to the pharmacy benefit six years ago. First, comparisons are easier when medications are on the same benefit. Oranges-to-apples become apples-to-apples because the billing procedures and benefit structures are the same. The anti-inflammatory medications for rheumatoid arthritis and other inflammatory conditions are used to illustrate the medical–pharmacy divide. Infliximab (Remicade) tends to be paid for and managed as a medical benefit because it is infused, while adalimumab (Humira) and etanercept (Enbrel) tend to be managed as a pharmacy benefit because they are self-injected. Advantage number two: Moving specialty drugs into the pharmacy benefit often involves “white bagging” — medications normally administered by a physician come directly from a specialty pharmacy in a metaphorical white bag at the correct dose for a particular patient. The insurer pays the specialty pharmacy for the drug. White bagging effectively eliminates the traditional buy-and-bill arrangement whereby providers buy the drug and bill for the cost plus a markup. “Having doctors and hospitals buy a drug and bill for it is adding another link in the supply chain,” says Tony Dodek, MD, vice president for medical quality and strategy at Blue Cross Blue Shield of Massachusetts. As with any other process, Dodek adds, adding links to a supply chain means additional cost. What’s more, providers are influenced by the income bump from buy-and-bill. It’s not that they prescribe the wrong medication, says Paine, but the financial incentives built into buy-and-bill may affect medication choices. Another advantage of what might be called the “pharmatization” of specialty drugs is the specificity of the National Drug Codes (NDC) used to make and pay claims when medications are under the pharmacy benefit. The 10-digit NDC code identifies the “labeler” — which can be the manufacturer, relabeler, or distributor — as well the strength, dose, formulation, and package size of the medication. All that information can add layers of precision and sophistication to data analysis and utilization review. If a medication is paid for under the medical benefit, the claims use J codes — they are part of the Healthcare Common Procedure Coding System (HCPCS) — and J codes are blunt instruments compared with NDC codes. There’s often a lag in assigning J codes, so new drugs may share an “unlisted” designation for months, Paine notes. Brand and generic drugs share a J code, and package size is not included. If you need to track medication use and cost, J code data will give you a fuzzy picture; the NDC codes, a high-res one.“How many different growth hormones do we have — five, six, seven? Most would have the same J code." 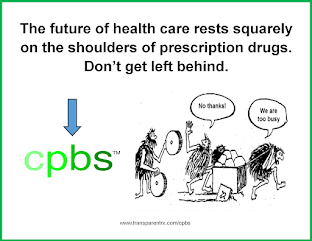 Finally, once specialty drugs are on the pharmacy side of the benefit divide, all those cost-controlling gadgets in the pharmacy management toolkit — prior authorization, utilization management, preferred networks, tiered pricing if there are choices — come into play. Medical benefit coverage doesn’t preclude use of the same management strategies and techniques, but they may not be as well developed. For example, prior authorization is tighter with pharmacy benefit coverage. If your doctor writes a prescription and you go to get it filled and it is not on the formulary, the pharmacist is not going to dispense it — unless you pay out of pocket. On the medical side a doctor may infuse a drug before seeking authorization. Because the service is already delivered, it is a bit harder to manage. And if the health plan were to decide the service isn’t medically necessary, the patient could be held financially responsible. But hold on. There are some good reasons for not migrating medications over to the pharmacy benefit — or, at the very least, for doing so in a thoughtful, case-by-case way. For one thing, Gleason points out, depending on the drug and other factors, hospitals and physicians can sometimes buy medications at a lower price than specialty pharmacies because of class-of-trade pricing. If enough of that saving is passed on to health plans, then moving those medications to the pharmacy benefit could backfire and wind up costing, rather than saving, a health plan money. But how much a health plan and its beneficiaries benefit from lower class-of-trade prices varies. Paine cautions that it can be difficult — and potentially ruinous for good relations — for health plans to start aggressively negotiating specialty drug prices with hospitals and other providers if they haven’t done so in the past because specialty drugs have often been a major source of revenues for providers. The switch could also alienate beneficiaries if their out-of-pocket expenses go through the roof. Whether they actually will depends on the finer details of benefit design. In the past, keeping drugs on the medical benefit was often a good deal for beneficiaries because their out-of-pocket expenses were less than under the pharmacy benefit. Another reason to go slow on switching medications to the pharmacy benefit is variable dosing, which is a common practice for the infused medications, especially the oncology drugs. J codes and medical claims allow providers to bill for less than the full package. Without some kind of adjustment, there would be a lot of expensive waste if the patient only needed a partial vial under the pharmacy benefit because pharmacies only dispense full vials. It’s complicated, though, because some insurers are now allowing physicians paid under the medical benefit to bill for full vials, even if they administer a partial vial. If that’s the case, then there might be less of an advantage to the medical benefit, depending on the insurer. Health plans have to be very careful about angering providers who depend on buy-and-bill income. A health plan in New England reversed course when oncologists threatened to leave en masse if the plan moved ahead with moving cancer medications to the pharmacy benefit, according to Dodek. “We have to be sensitive to the needs of the members but also to the needs of the providers in the network.” Yet there are some providers who may welcome health plans moving drugs to the pharmacy benefit. Buy-and-bill can tie up a lot of capital as the number and price of specialty drugs has increased. But here’s another take: Maybe all this fretting over the medical–pharmacy divide is a bit misguided. Rather than yanking specialty medications over to the pharmacy benefit and weathering the disruption that causes, why not just smooth out the hassles that come from having some medications covered under the medical benefit and others under the pharmacy benefit? Lotvin touts the software developed by NovoLogix, a company acquired by CVS, as an example of such a tool. After criteria are developed, the software can guide decisions on which drug to use and whether to route the claim down the medical benefit or pharmacy benefit channel. In Lotvin’s telling, smart software like that of NovoLogix also solves the J code fuzziness problem because it “cross walks” J codes with NDC codes. Even if specialty medication claims are paid with J codes, the software collects data at the granular NDC code level that can be analyzed later. “You pay under the J code but you ask for the NDC code on the claim — that takes care of your problem,” says Lotvin. Earlier this year, Milliman produced a report for CVS Health on the possible savings of moving medications from the medical to the pharmacy benefit. By Milliman’s reckoning, a little over half (53%) of total specialty medication costs were paid through the medical benefit and a little under half (47%) through the pharmacy benefit. Yet the consultant’s calculations show that specialty drugs as a whole account for just 6% ($20 out of $360) of a typical commercial health plan’s per-member, per-month (PMPM) cost compared with 24% of the pharmacy benefit allowed costs. The consultant’s report is based on an analysis of 2012 claims. The FDA approved sofosbuvir (Sovaldi) in December 2013. It’s likely that specialty drug spending is now a larger percentage of medical and pharmacy costs. Milliman’s analysis found that spending on self-administered specialty drugs (oral, inhaled, and injected) and those injected or infused by a provider together accounted for about 16% ($3.22 out of $20) of spending on medications covered by the medical benefit. By moving 90% of those drugs from medical benefit to pharmacy benefit, health plans could cut those costs by 19.7%, on average, by Milliman’s figuring. The consultant didn’t do this math, but that works out to $0.63 PMPM or $7.56 per member per year. Sure, that’s a savings when you add it up over many members over many years, but it is just 0.2% of the $360 PMPM. A spokesman for CVS noted that Milliman limited its analysis to potential savings from managing the site of care, so a raft of other savings opportunities from utilization management, preferred drug pricing, and so on, are not reflected in this number crunching. Milliman analyzed infused medications separately. Oncology drugs, which many acknowledge are a world unto themselves because of the power of the provider group, the mortality of the disease, and other factors, were excluded from the analysis. Moreover, because infused drugs are more complicated to administer, the consultant presumed a 75% medical-to-pharmacy “conversion” instead of 90%. With these provisos, Milliman’s analysis showed that the allowed $5.43 PMPM for nononcology, provider-infused medications could be reduced, on average, by 12.3%. Do the math, and that comes out to $0.67 PMPM — and so, again, a nice savings, but not a huge one. A month before the Milliman report came out, Artemetrx released an analysis of the medical-to-pharmacy switch that arrived at an entirely different conclusion. Crunching the numbers for 2012 claims for five specialty drugs for 10 health plans, Artemetrx found the average allowed price was 4% to 38% higher under the pharmacy benefit. The likely reason: lower acquisition costs for physicians because of class-of-trade pricing. Artemetrx’s takeaway is that health plans ought to take a close look at actual prices before they start moving medications to the pharmacy benefit. One major difference between the Milliman and Artemetrx studies is that Artemetrx deliberately excluded outpatient hospital pricing, which is much higher than physician office pricing. 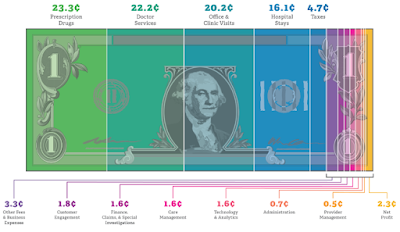 In Milliman’s calculations, a large part of the savings from a medical-to-pharmacy switch came from moving specialty drugs away from the pricey hospital outpatient setting. Patrick Gleason, PharmD, director of health outcomes for Prime Therapeutics, points out that site-of-service decisions can be made apart from the medical–pharmacy benefit choice. The consultant showed that moving medications to the pharmacy benefit produced savings. The first column is the allowed per-member, per-month (PMPM) cost before the savings. The second is Milliman’s estimate of average savings from a medical-to-pharmacy benefit switch. *Assumes a 90% conversion from medical to pharmacy benefit. *Assumes a 75% conversion from medical to pharmacy benefit. This consultant found that specialty medications in the pharmacy “channel” are more expensive. How much more expensive is pharmacy?